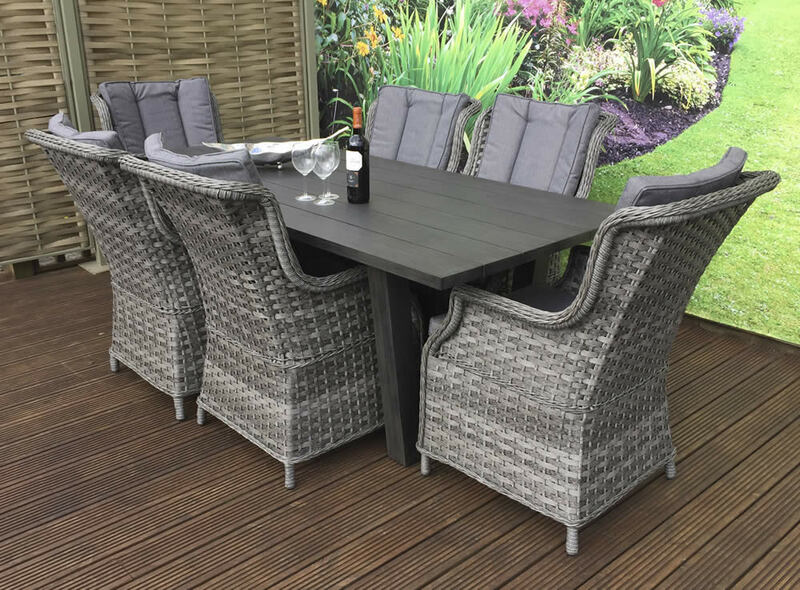 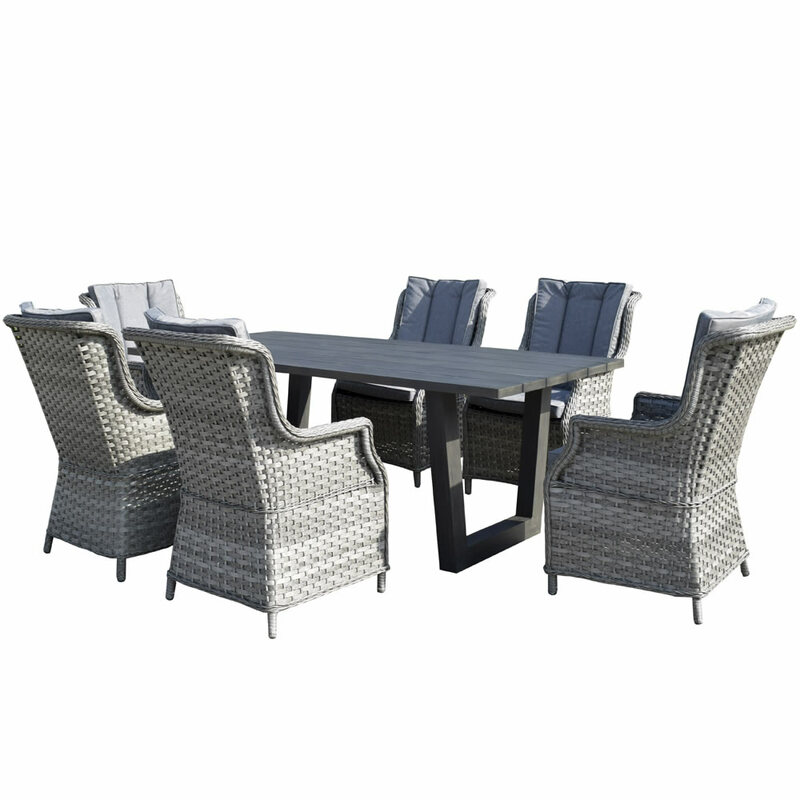 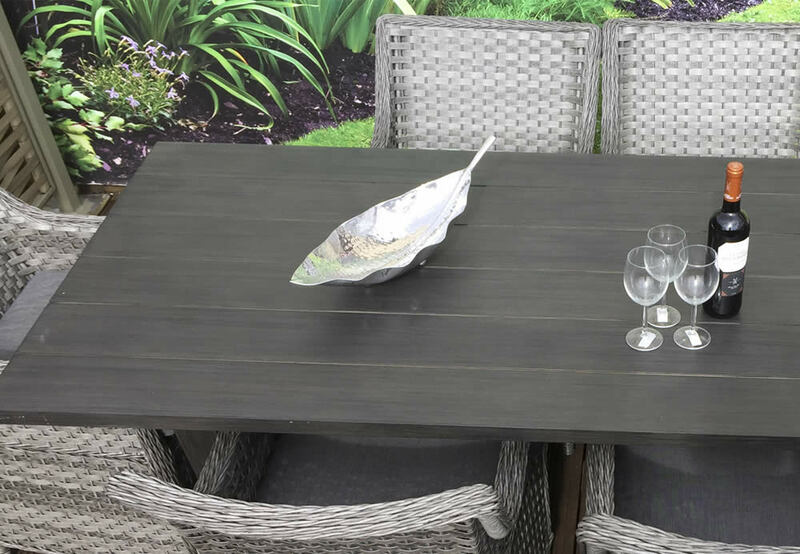 The Signature Weave Victoria grey weave garden dining set comprises of a aluminium painted rectangle plank top design dining table and 6 high back chairs with grey cushions. 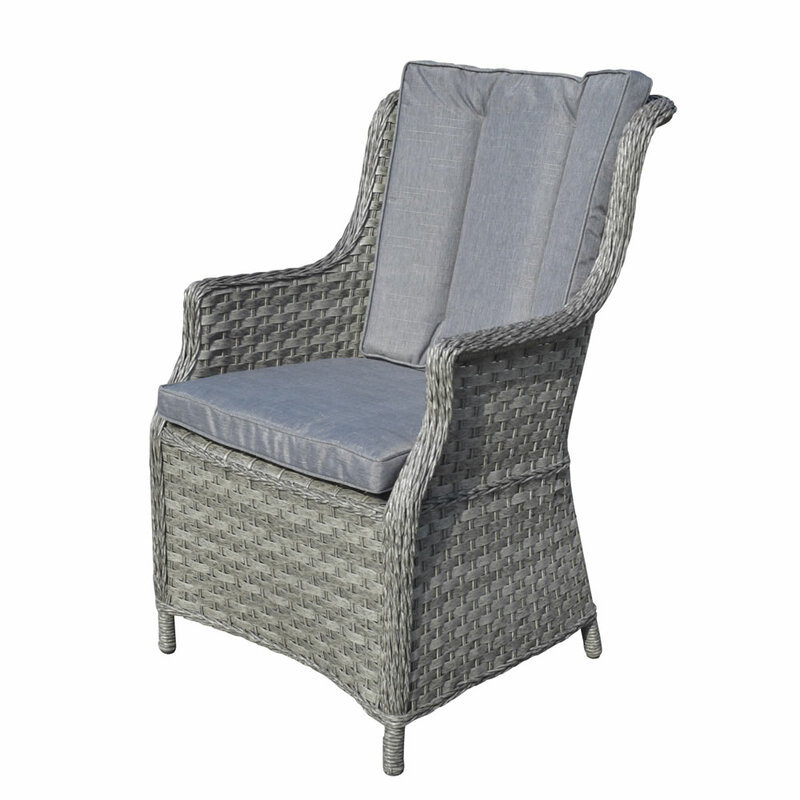 The Victoria chairs are made with aluminium frames and have woven in 3 weave mixed grey Polyethylene weave with UV protection. 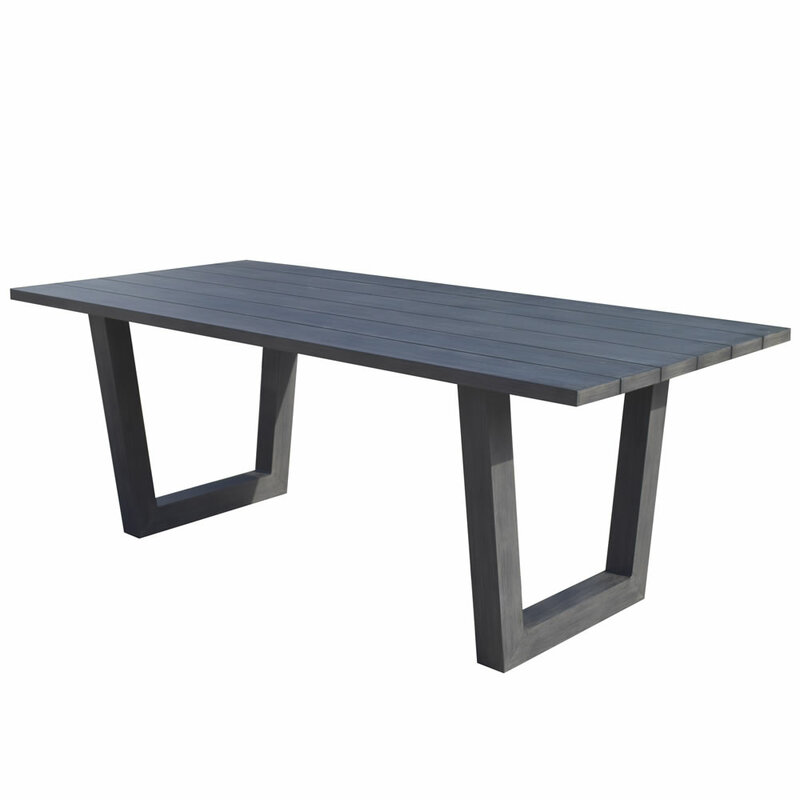 The Victoria two meter long dining table is made from aluminium and has a durable powder coated finish.